If you have been trying to use homeopathy and are finding it hard to locate a good homeopath then you need to know the signs of an incompetent homeopath. To do that you need to know the basics of homeopathy. It was discovered by a German doctor, Dr. Samuel Hahnemann in around 1784. What he observed was that a substance known to cause the symptoms of disease in a healthy person will induce a cure of those very symptoms, if administered in a sick person. The homeopathic medicines are called remedies. They are made by diluting a substance (e.g. a plant extract) in a special way. Homeopathic remedies are made using a special dilution process (explained below) which makes the remedies safe when used properly. There are no physical ingredients of the substance in the final product (above 12c potency) from which the homeopathic remedy is made, hence it is non-toxic. 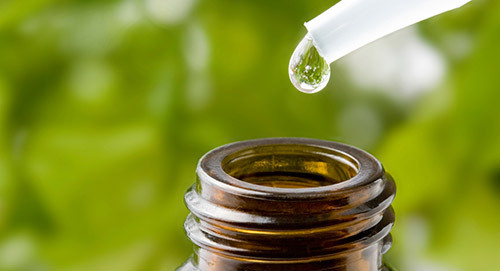 There are a few different ways to make homeopathic dilutions but the most commonly used method involves taking one drop of the extract of the substance e.g. plant extract and mixing it with 99 drops of water. This mixture is then shaken upto 10 times by hitting it against something hard. This process is called succussion. This mixture now is called a dilution of 1C where C stands for centesimal. Then one drop is taken from this mixture of 1C and mixed with 99 drops of water and succussed. This new mixture is now called 2C. You continue going on in this way to obtain 30C, 200C and so on. In this way the homeopathic remedies are prepared. Most commonly used potency is 30C. A high school student can tell you that after a dilution of 12C, there is no physical presence of the main extract from which the remedy is made (due to the Avogadro’s law) thus making the remedies safe & non-toxic. No one knows how homeopathy works. There are several theories but nothing conclusive. The present understanding of science can’t offer the explanation of how homeopathy works. Some critics say its placebo. But had it been placebo, it wouldn’t have worked on animals, infants & children. Anyone who follows these principles is called a Classical Homeopath or a Hahnemannian Homeopath and the one who doesn’t shows the signs of an incompetent homeopath. Choosing a single remedy out of thousands is not easy and only someone who has a deep understanding of homeopathy can do that. That’s why many incompetent homeopaths have resorted to giving a mixture of several remedies since they are unable to find the one right remedy and fear failure. While this approach may work for acute cases e.g. common cold etc., it spoils the chronic cases making subsequent cure difficult. For homeopathic treatment, try to find someone who practices Hahnemannian homeopathy also called Classical Homeopathy.